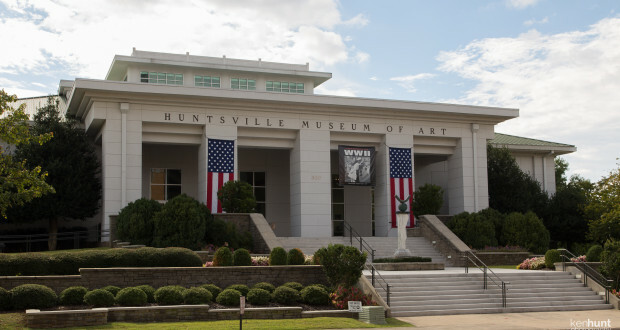 The Huntsville Museum of Art sits in scenic Big Spring Park, right in the center of downtown Huntsville. 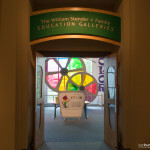 It’s been in this location since 1998. 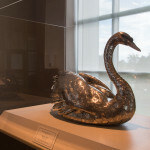 Prior to this location, it was part of the Von Braun Civic Center. 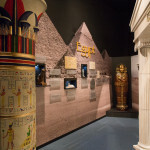 The museum building has over 50,000 square feet, 15,000 of which is dedicated to the museum gallery. 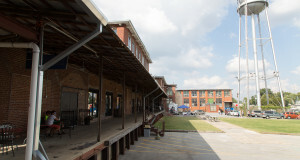 It also features specialty halls and a kitchen that can be rented for special events, including weddings. 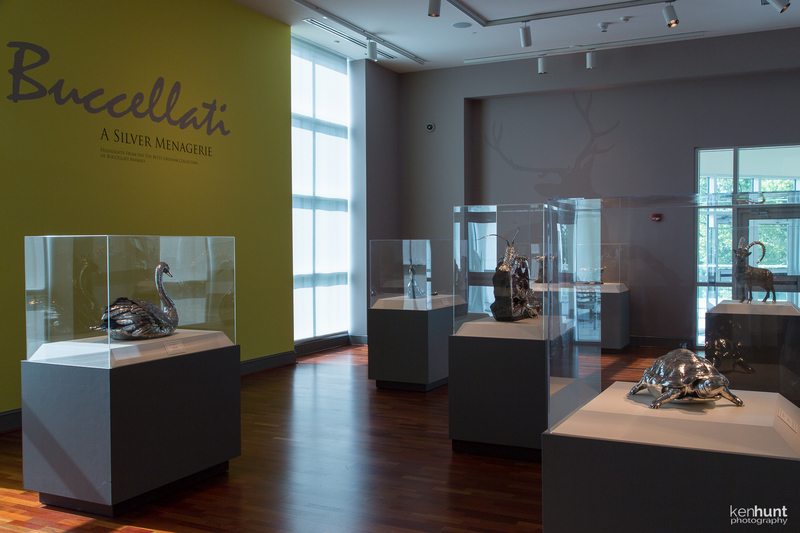 One of the permanent displays is the Buccellati collection of silver animal figures. 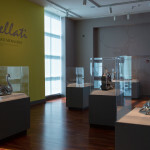 Buccellati Collection at the Huntsville Museum of Art. 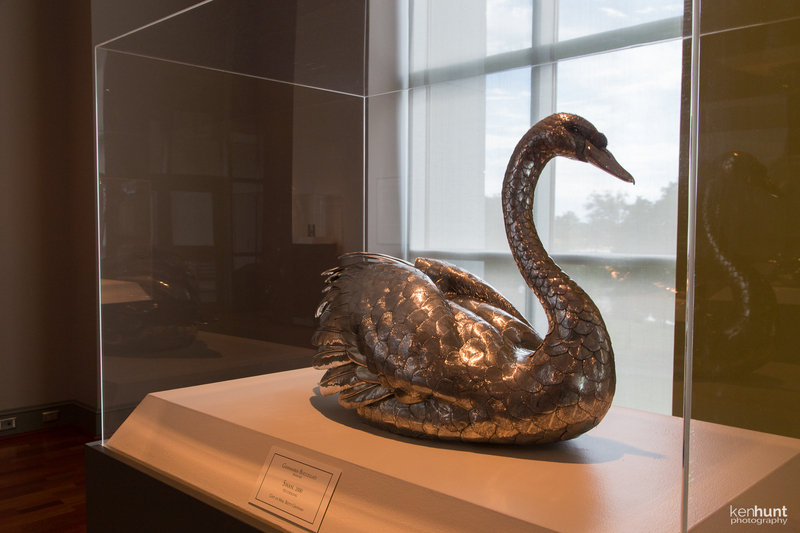 Swan in silver, Buccellati Collection. 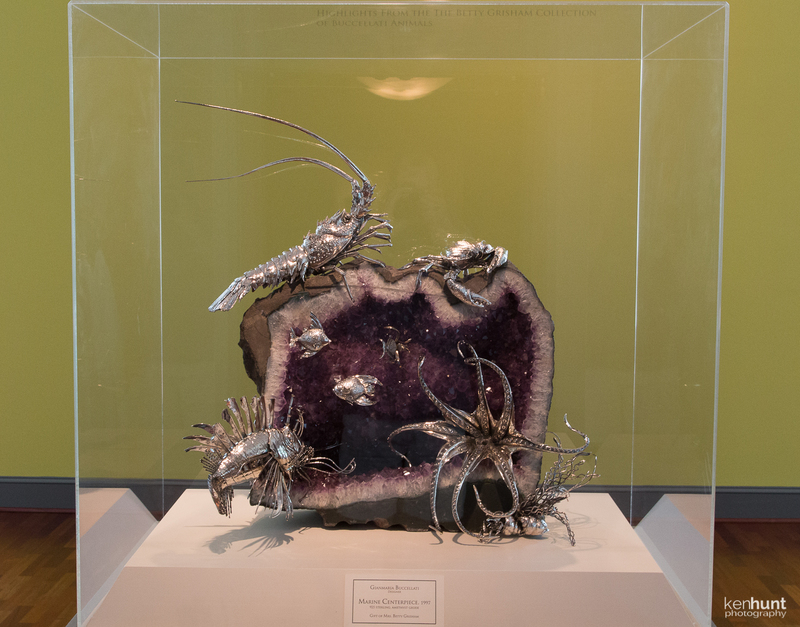 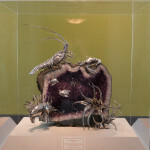 Crustaceans in silver, Buccellati Collection. 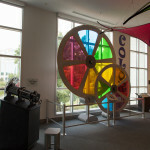 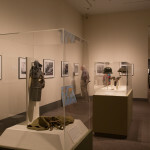 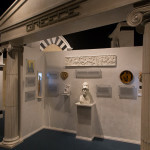 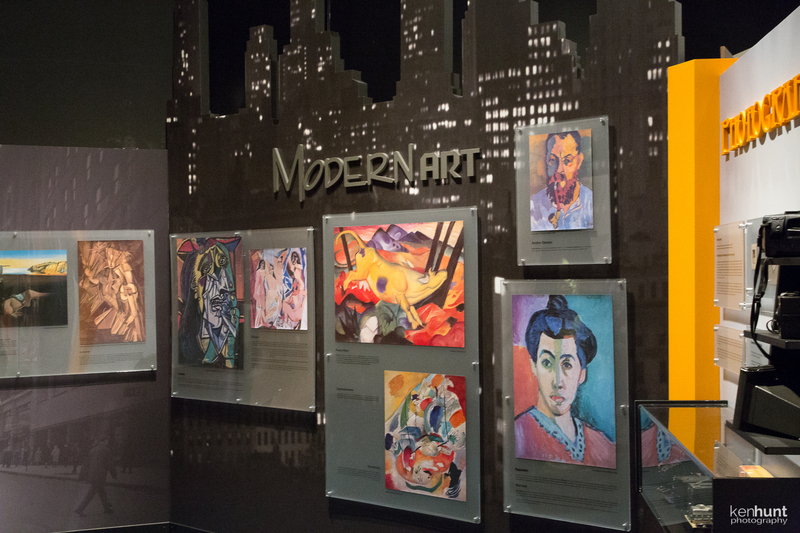 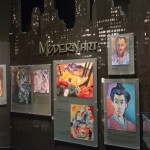 The Huntsville Museum of Art is an active member of the North American Reciprocal Museums, which means there are new exhibits rotated in on a regular basis. 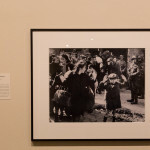 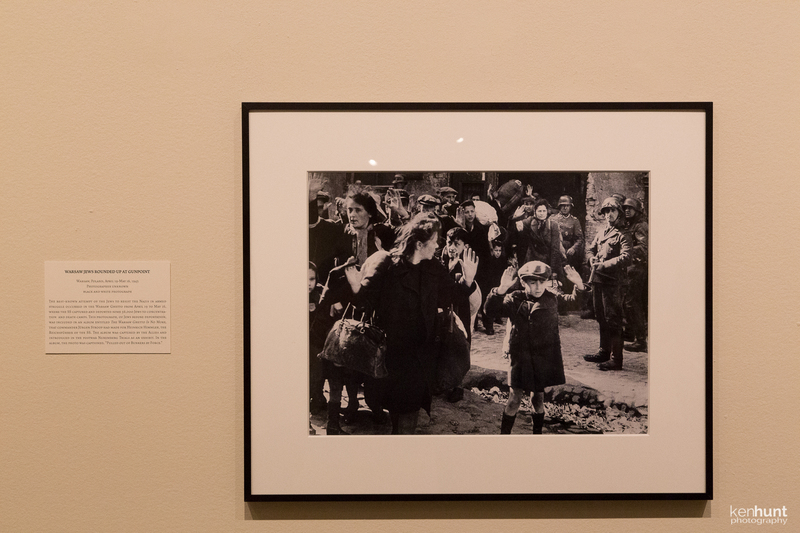 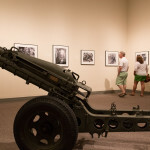 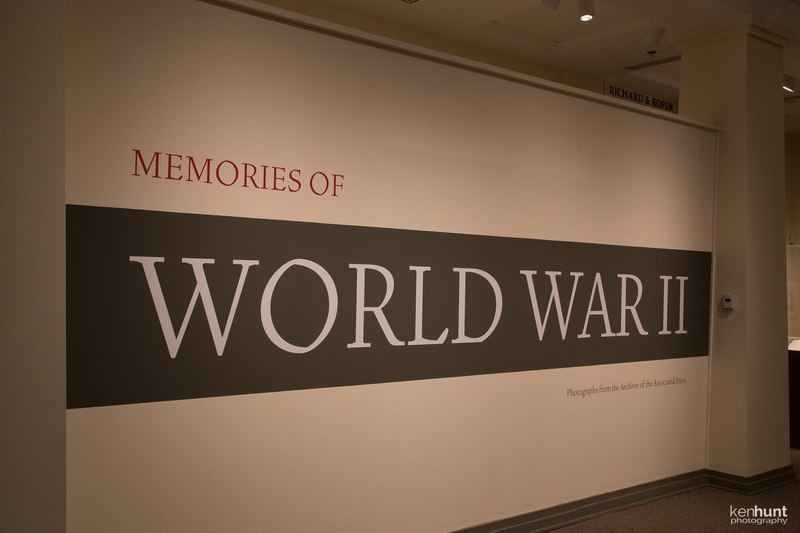 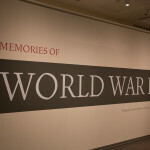 I was fortunate enough to capture the last day of the recent World War II exhibit, which featured photographs from the archives of the Associated Press (AP). 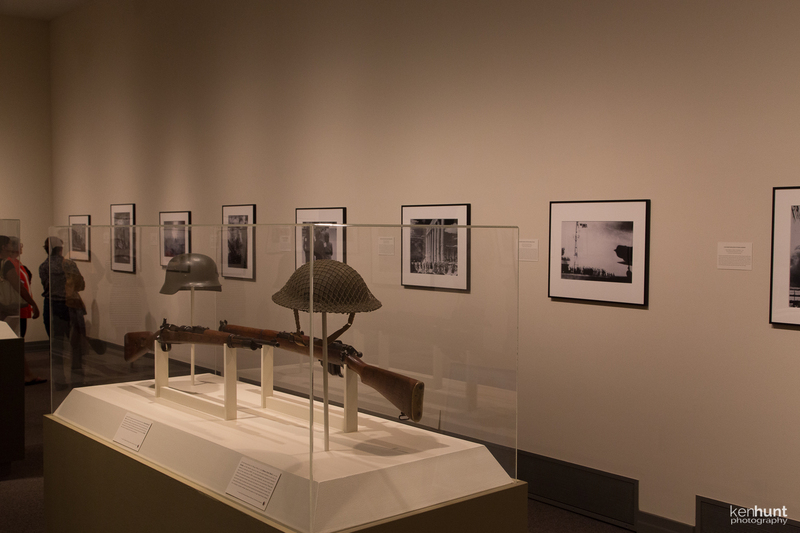 These striking photos showed the contrasts and the connections between the soldiers, the politicians and the ordinary citizens who’s lives were caught up in this conflict. 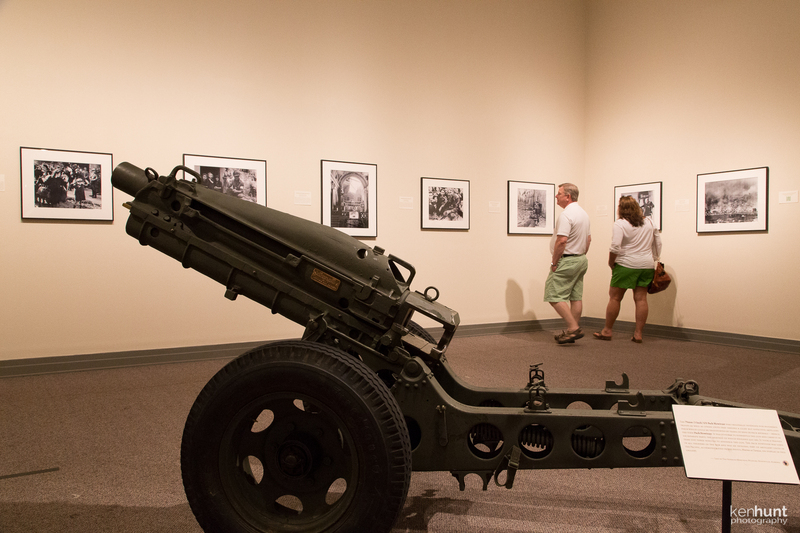 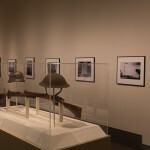 The photographs were accompanied by a few exhibits of vintage World War II armament. 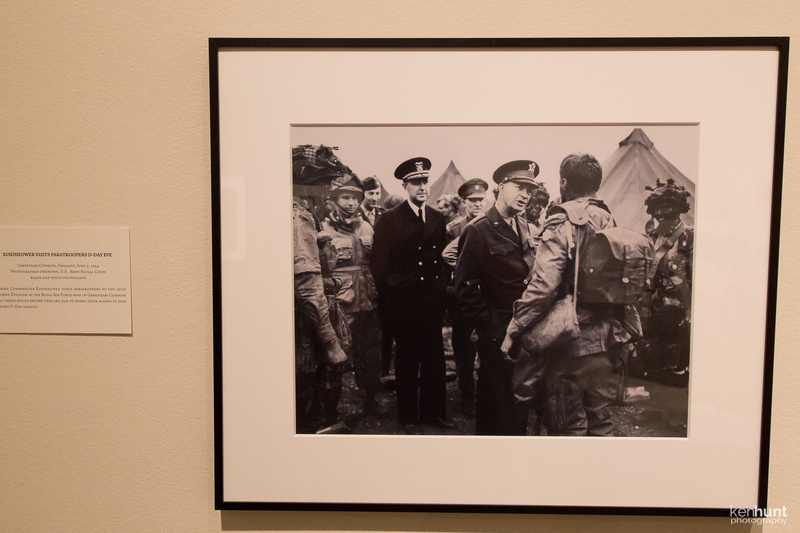 General Eisenhower visits the troops hours before the D-Day assault. 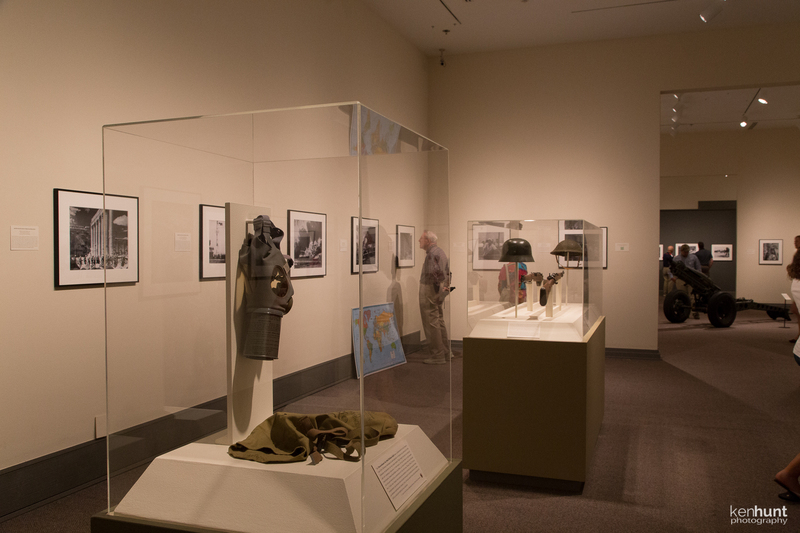 While I was there, I was delighted to find the Army Materiel Command’s Four-Star Jazz Orchestra performing upstairs from the exhibit. 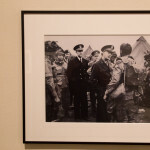 Here’s a video from that day, with the orchestra performing Gershwin’s Strike Up the Band. 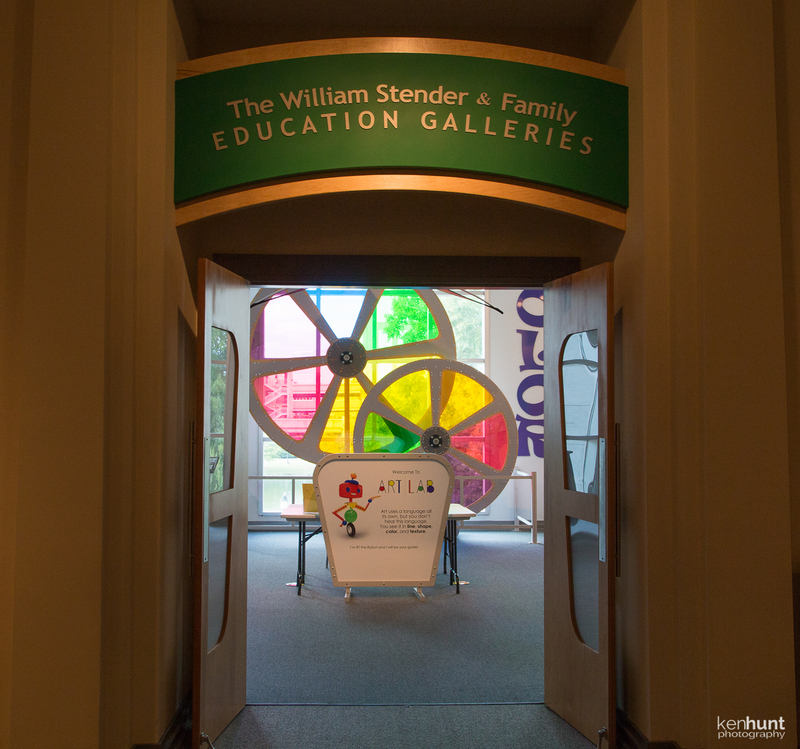 There’s also plenty for the kids to see and do at the Huntsville Museum of Art, thanks to the William Stender and Family Educational Galleries. 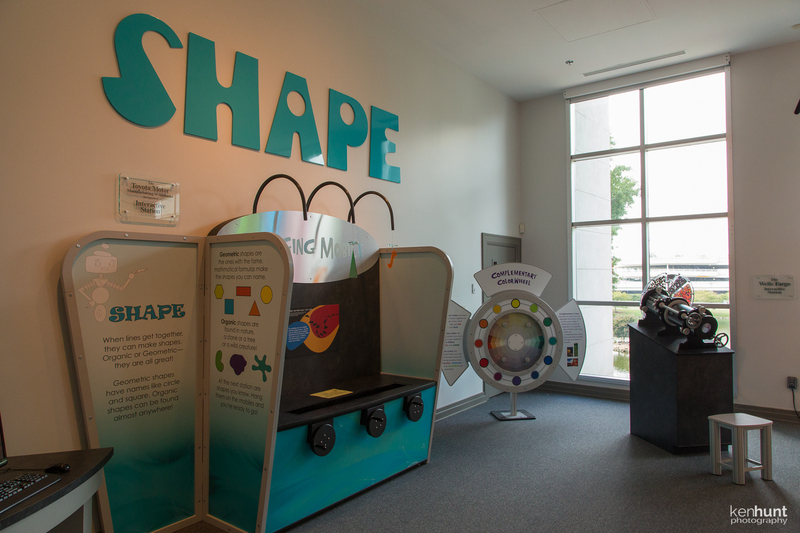 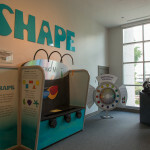 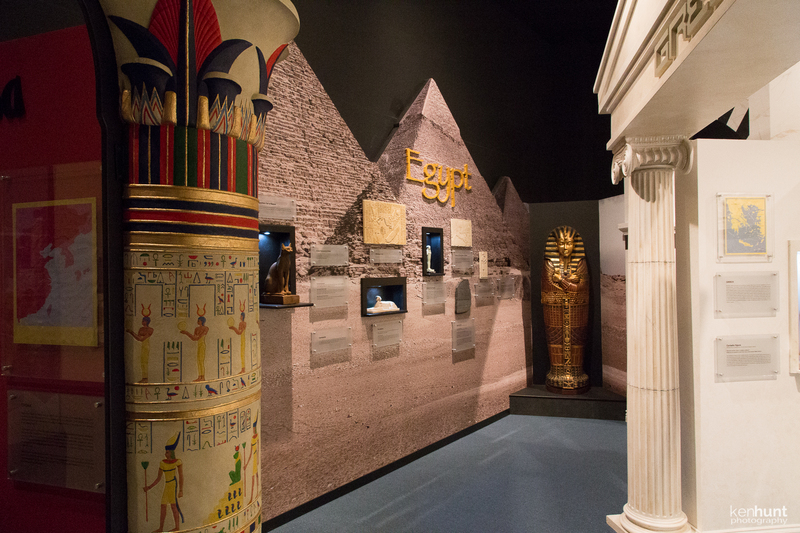 There are hands-on, educational exhibits, and a walk-through-time that’s not to be missed. 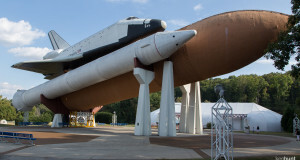 The next time you find yourself downtown in Huntsville, don’t overlook one of the town’s crown jewels. 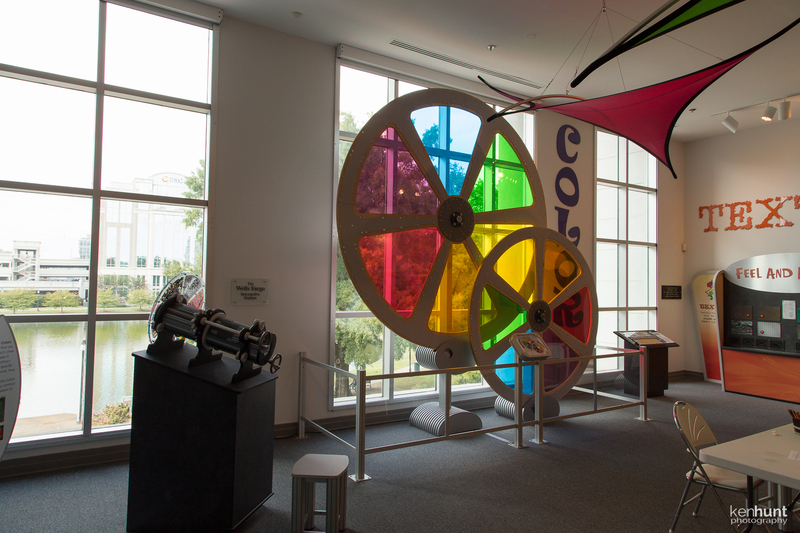 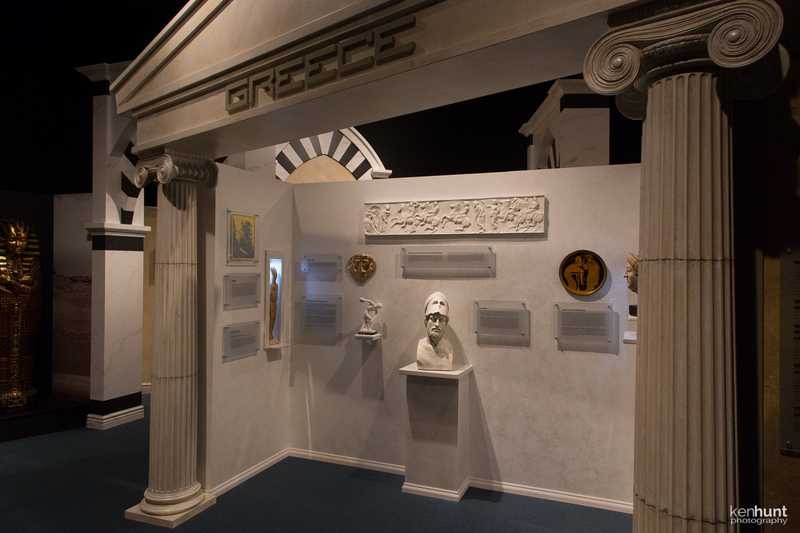 The permanent exhibits are uniquely Huntsville, and the rotating exhibits will keep you coming back for more!